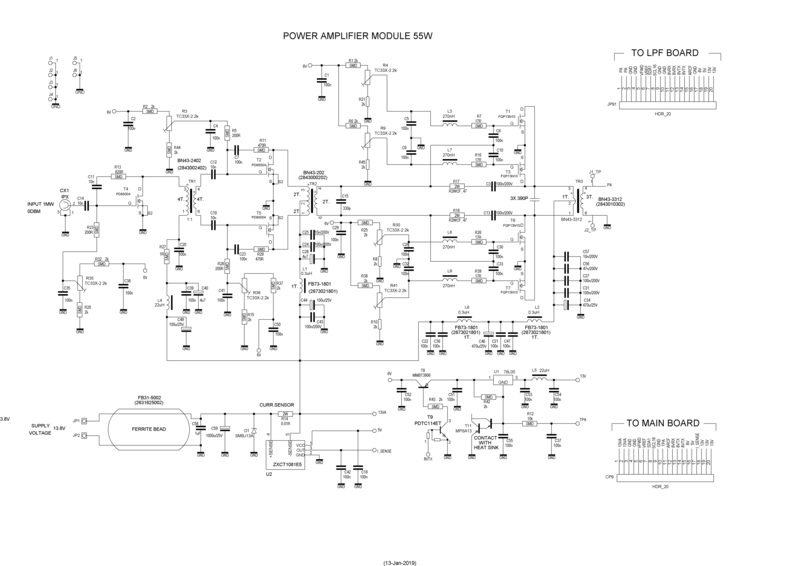 Final 50W amplifier is designed using 4pcs. QFET N-MOS FAIRCHILD FQP13N10 transistor. The module consist of three stages: predriver with NXP PD85004, driver in push-pull configuration (2xPD85004) and final unit utilizing 4pcs. (2 by 2 push-pull in parallel) FQP13N10 transistors in easy to mount TO-220 case. Main reason we chose such a general purpose switching MOSFET’s is that they are cheap and is in current production so can be delivered anytime from a trusty supplier. Input matching and especially Ciss (~400pF) compensation is performed by input transformer TR2, inductors L3, L7, L8, L9, swamp resistors R7, R16, R26, R39. 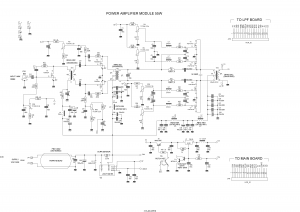 This group of components increases input drive signal for frequencies over 10MHz and swamps input energy for low frequencies where the overall gain is more than sufficient. Bias voltage for all transistors is provided by voltage regulator 78L05 (U1) and MPSA13 (T11) which is in good contact with final transistor heatsink in order to perform needed temperature compensation.